Calling all IKEA shoppers! Mark your calendars because you can use this Ikea coupon on 1/19 and 1/20 to get $25 off your purchase of $150 or more! You can print out the coupon or simply show it to the cashier on your smartphone. Plus, IKEA Family members will get up to 25% off select Kallax shelving units (1/18-1/21), up to 20% off select TV benches (1/16-1/27), up to 20% off all chests of drawers (1/16-1/27). 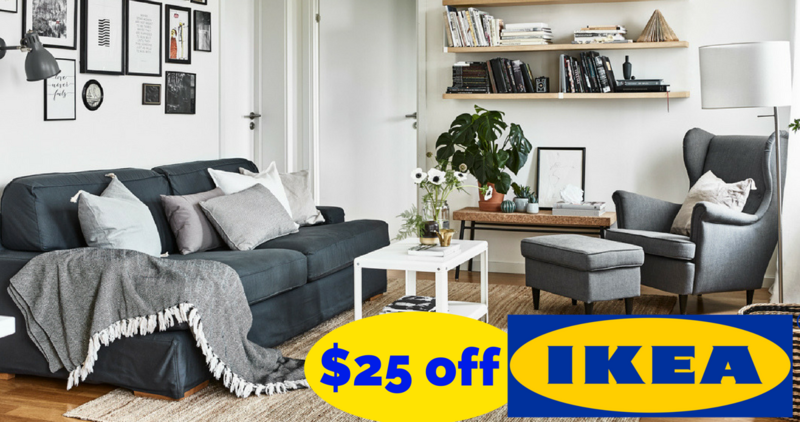 Note: This coupon can’t be combined with other IKEA offers or discounts, except IKEA Family product offers. It can’t be used in the IKEA restaurant or online. Head to their website to find a location near you. This offer is valid 1/19 & 1/20. There is a limit of (1) per household.